Anand Castle is a business class hotel in Kashipur, which is intelligently designed, breathtaking discoveries and with impeccable services. Anand Castle is one of the most enchanting hotels in the Kashipur designed and built especially for relaxation seekers, this hotel was made to ensure its guests comfort and hospitality with a touch of magic. Hotel Anand Castle is located just one km from the Kashipur Railway Station, 500 mtr from the Bus Stand and 65 kms from Pant Nagar Airport. 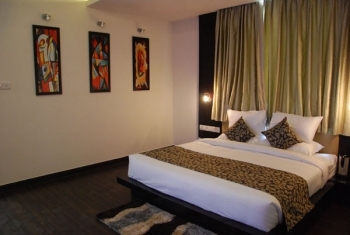 Hotel Anand Castle offers 23 spacious rooms and suites. Each room proposes high speed internet access, deluxe corner baths and mini-Bars. There are 3 Deluxe Room, 18 Superior rooms and 2 Suites in the hotel. 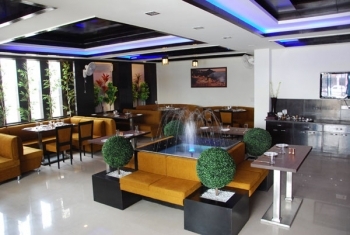 Anand Castle hotel in Kashipur offers delicious dining in Restaurant. The Restaurant offers a variety of delectable cuisines spanning from Indian, Tandoori, Chinese and Continental Foods providing exquisite quality which is beyond words. All bookings must be guaranteed at the time of reservation by a Credit Card or full advance needs to be deposited by the Guest or their representative travel agents at our office. All major credit cards are accepted. - 15 Days to 30 Days prior to Arrival - 50% of the total package cost. Anand Castle hotel is located conveniently at National Highway NH 24 with in the heart of the Kashipur city. It is just a stone throw from railway station. It is also at close proximity to major markets and banks to facilitate any requirements that a business traveler might have.